Jules Dassin, an American director, screenwriter and actor who found success making movies in Europe after he was blacklisted in the United States because of his ties to the Communist Party, died Monday in Athens, where he had lived since the 1970s. He was 96. Mr. Dassin is most widely remembered for films he made after he fled Hollywood in the 1950s, including Never On Sunday (1960) with the Greek actress Melina Mercouri, whom he later married; Topkapi (1964), with Ms. Mercouri, Peter Ustinov and Maximilian Schell; and the 1954 French classic heist thriller Rififi. Dassin was born on December 18, 1911, one of eight children of Samuel Dassin, an immigrant barber from Russia. Shortly after Jules was born, his father moved the family to Harlem and he attended high school in The Bronx. His working-class environment created a class consciousness that was common in the post World War I urban centers. He joined the Communist Party in 1930s, but left in 1939, when he became disillusioned after the Soviet Union signed a nonaggression pact with Hitler. In the mid-1930s, Dassin studied drama in Europe before returning to New York, where he made his debut as an actor in the Yiddish Theater. He also wrote radio scripts. He went to Hollywood shortly before World War II erupted in Europe and was hired as an apprentice to the directors Alfred Hitchcock and Garson Kanin. Soon he was directing films for MGM, including Reunion In France (1942), a Joan Crawford vehicle with John Wayne in which her character comes to believe that her fiancé is a Nazi collaborator. In the late 1940s, Dassin became one of the prime forces behind “film noir”, a brutal expressionist style that relied on expressionistic camera angles and brutish anti-heros to capture the cynicism of the post war period. Among his best films of this period were Brute Force (1947), a prison drama starring Burt Lancaster and Hume Cronyn; The Naked City (1948), an influential New York City police yarn shot on location that won Academy Awards for cinematography and editing; Thieve’s Highway (1949), about criminals who try to coerce truckers in California; and Night And The City (1950), a film shot in London starring Richard Widmark (who died last week) as a shady but naïve wrestling promoter. 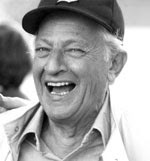 The latter film is considered by many to be Dassin’s masterpiece. The release of the film in 1950 was parallel to the brouhaha being created by the House Un-American Activities Committee, a Congressional committee looking into Communist influences in Hollywood and the new medium of television. While Dassin was no longer a member of the Communist Party, he was blacklisted along with other prominent directors and actors. Unable to find work in the studio system, Dassin left the United States for France in 1953 but remained largely unemployed for years. In need of money, he agreed to direct Rififi, a low-budget production about a jewelry heist. Dassin also acted in the movie, under the name Perlo Vita, playing an Italian safe expert. The film became an unexpected hit, winning Dassin the Best Director prize at the 1955 Cannes Film Festival. During this period, he directed the films He Who Must Die (1957), where he met his future wife Melina Mercouri; and La legge (1959), a noirish melodrama with Gina Lollobrigida, Marcello Mastroianni and Yves Montand. By the early 1960s, Dassin’s films were attracting the attention of Hollywood producers. He wrote and directed Never On Sunday as a vehicle for his then-wife Melina Mercouri. The fiery Greek actress had the role of her lifetime as a good-hearted prostitute. Dassin also had a role in the film as a bookish American trying to reform the free-thinking ways of Mercouri’s bad girl. His directing and screenwriting were nominated for Academy Awards and the film became a big hit. Dassin was invited back to Hollywod in 1964 to direct Topkapi, which some consider the ultimate jewel heist film, the prize in this case being gems from the Topkapi Palace Museum in Istanbul. Dassin’s next film was the poorly received Up Tight! (1968), set in a poor black neighborhood, with a script by its star, Ruby Dee. He then set his sights on Broadway, directing a musical comedy version of his hit Never On Sunday, called “Illya Darling”, which again starred Melina Mercouri, who was nominated for a Tony Award for her performance. Both lived in New York during the dark years of the Greek military junta of the late 1960s and early 1970s, returning from exile in 1974, where Mercouri entered politics, becoming a member of Parliament and later Culture Minister. 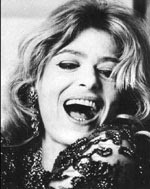 Mercouri died in 1994 and Dassin had lived in Greece for the past 30 years. Dassin ended his directing career in his late 60s on a disheartened note, when his film Circle Of Two (1980), about an aging artist (Richard Burton) who is infatuated with a teenage student (Tatum O’Neal), which was a disaster at the box office. Dassin never made another film. He spent the last 25 years as the titular head of the Melina Mercouri Foundation, which tried to induce the British Museum to return the Elgin Marbles, sculptures taken from the Parthenon nearly 200 years ago. Dassin, whose life journey took him from the slums of New York to the capitals of Europe to the Mediterranean paradise of the Greek Islands, had a tumultuous life, but he leaves behind a number of superb works that continue to delight audiences to this day.